You can see the earthen ramp that the Romans built to bring their battering rams up to the walls of Masada. The guide's last remarks were regarding the meaning of the Masada story to Jewish people today. 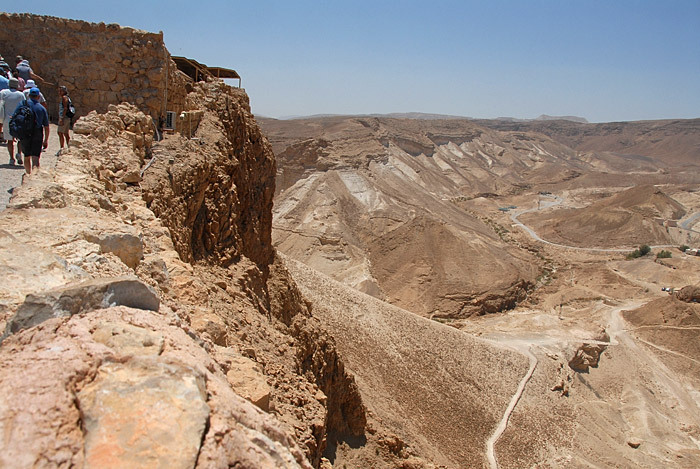 In the early years of the modern Jewish state they taught the children that to be like those in Masada was good, courageous, committed, and in charge of one's own destiny. Now they prefer to teach the values of perseverance and ultimately of survival.